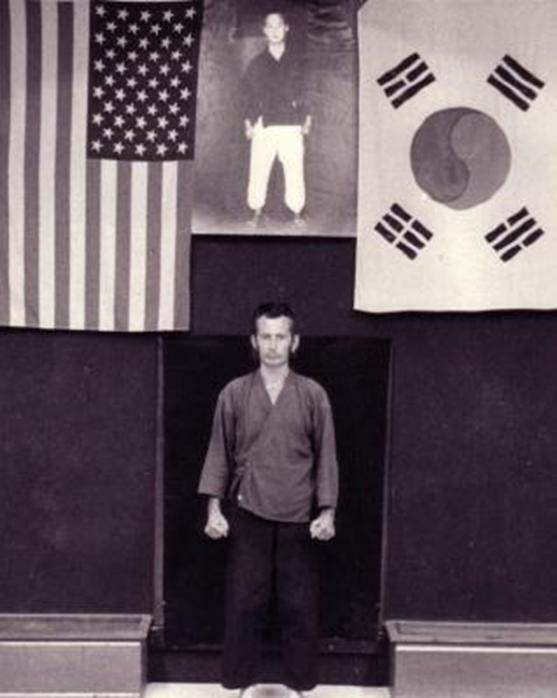 Robert J. Babich, who I was introduced to as "Robert J," was the quietest, gentlest, most powerful man I have ever had the pleasure of knowing; he developed, studied and taught an art called Kwon Bup Karate in San Jose in the 60s. Robert J is a soft spoken man and he never, in the years I knew him, raised his voice. What makes this really amazing is that he taught all types of students from all walks of life including bikers, outlaw bikers, and Hells Angels, and they, we, all listened when he spoke. So I went to the brown and black belt class over the next few weeks and watched. Steve was a brown belt (with a black stripe, refused to test for black belt because of the registering of hands thing), and, it was interesting watching... Robert J would spar with a brown belt while watching all the other students, black belts sparing with black belts, black belts sparing with brown belts, brown belts sparing with brown belts, and, IF Robert J observed a sparing pair do something that could be improved then he would bow to his partner and interrupt the other pair to provide improvment instruction to them, then resume with his partner. One night I suspect he had just spotted a maneuver which could be improved which was simultaneously accompanied by the brown belt he was sparing with putting a move on Robert J... well... it happened so fast that I could not say what really happened, but, I saw Robert J do a sideways flip and spin and land in a forward stance, and the brown belt's arms and legs were all totally extended spread eagle and he was falling over backwards... THAT did it for me... 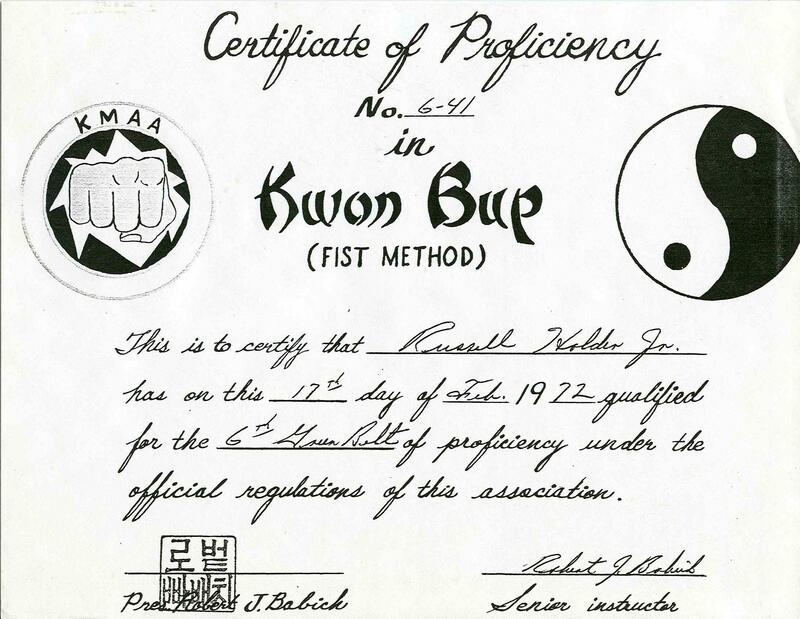 I was convinced... there was something to this karate, so I started as a white belt at the Kang Duk Won Korean Karate school run by Robert J. 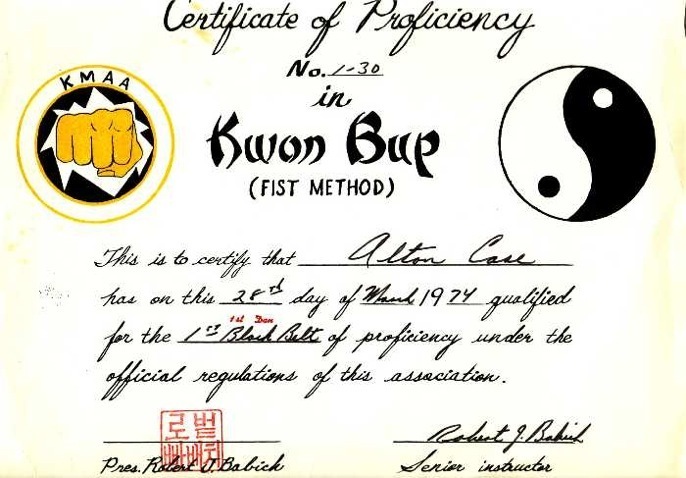 There are "24 martial arts" some people refer to, but, this actually refers to sword, spear, military horseback riding etc, not unarmed martial arts since Taekkyon was a game, not a martial art; Kwon bop (or Chuanfa in Chinese or Kempo in Chinese) is the only exception. 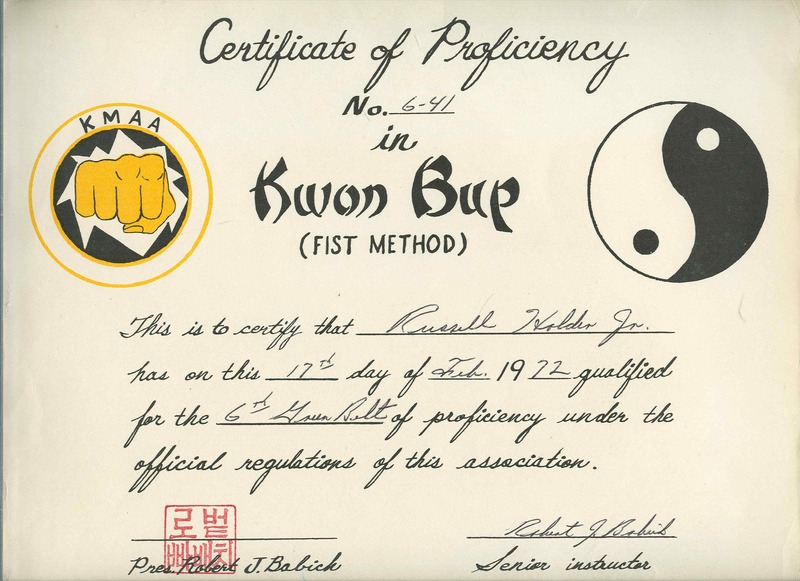 Kwon bup, the style that Robert J developed and taught is a "hard style" Korean karate, vs, e.g., Shotokan karate which is a "soft style" karate, where the philosophy for soft style karate is avoid, deter, hurt, mame, kill. Avoid - avoid a fight by what ever means you must - in a situation where a fight might start - leave, if you are followed leave quicker, still followed, run, still followed and cannot run any further then deter the attack. Note that a block which would deter an attack is accompanied with an offencive move, in this case, to hurt the attacker. If the attack continues then mame the attacker, break something, pluck an eye out, etc., if the attack continues then kill the attacker. The philosophy in hard style karate is simply avoid, deter/kill (where every block is an attack). And, Robert J taught a polethera of means to deal with an attack!